Florabank is Australia’s leading resource for news and information, research, networking, guidelines and resources on native seed. An initiative of the Australian Government, Greening Australia and the Commonwealth Scientific and Industrial Research Organisation (CSIRO), Florabank connects with researchers, producers, growers and buyers to promote the proper development and use of native species of Australian seed. Through a vast network online and in the field, Florabank is able to collect the most recent and relevant data on native seed and disseminate it to the public to promote the highest quality and best choice for buyers. Florabank also trains growers and professionals and advocates for the national seed industry both inside Australia and internationally. The largest collection of up-to-date seed information and research is located on Florabank’s website, which boasts a wealth of resources for everyone from supply companies down to the individual buyer. The site contains an extensive seed knowledge section that begins with its guidelines and codes of practice. For almost 15 years, Florabank’s 10 guidelines have been the benchmark in Australia for those collecting and utilizing native seed. The guidelines are also updated as needed. New guidelines will continue to be added based on the input of both the research and seed communities on an as needed basis. One of the most popular portions of the Florabank website the Species Navigator, an interactive support tool designed to help you find the best seed for your project. Simply input information about revegetation plans, and the Species Navigator responds with the best seed choices. By bringing together hard to locate information such as ecological and biophysical information about seed species, Florabank has created an interactive hub of seed information. More than 6,000 Species Navigator fact sheets are viewed on the site each month. In fact, the top 25 most visited Florabank web pages are fact sheets. Over the years, Species Navigator has continued to grow to meet the needs of the seed community. It’s now even easier to find the right fact sheet as Florabank has added a comprehensive list of all of the species fact sheets to the Species Navigator page. That will make searching and finding the facts you need even faster. If you need a little more assistance to find the right species, the Species Navigator interactive key is there to point you in the right direction. The Species Navigator is continuously updated and revised. 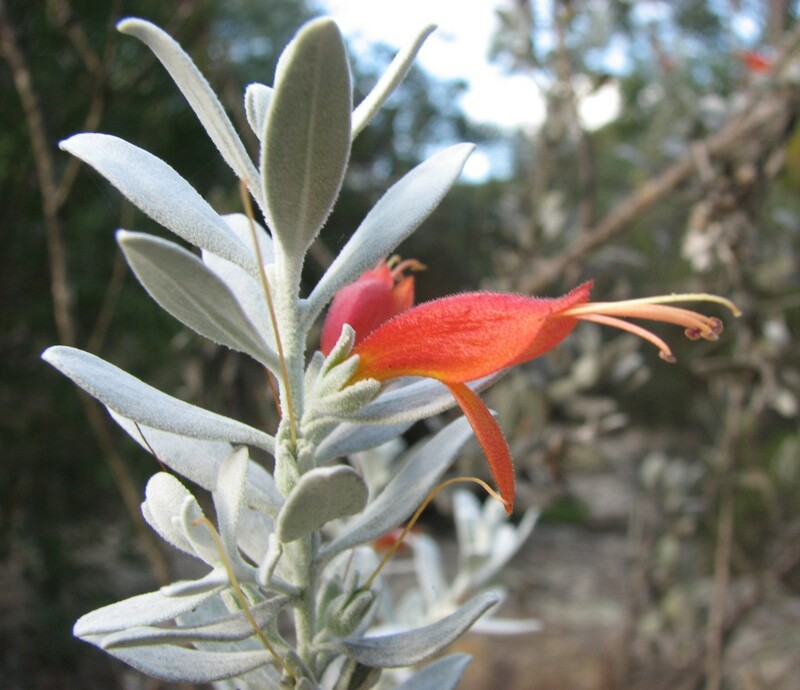 Recently, 40 Box-Gum Grassy Woodland Species were added as part of the Communities in Landscapes Project, joining the already 42 Box-Gum Grassy Woodland species on the Species Navigator. Florabank’s Site Description Tool works hand-in-hand with Species Navigator to give gives users a complete picture of the best seed and practices to use in particular environments and landscapes. The site tool features an expansive, descriptive form available for download. On the form, users can input all of the relevant data about their existing or potential growing space. From temperatures and soil types to physical location, the site tool will not only help you determine the best seed, it will also be a valuable document for use in future plans and projects. In addition to the navigator and site tools, the website includes a pair of other handy online tools. The Seed Collection Advisor is an excellent tool for seed collectors to use to increase genetic diversity at their sites. It is packed with relevant information for the seed collection community and can provide ideas and solutions that may have been overlooked. The Native Vegetation Management Tool aids practitioners in finding the best options for revegetation to meet their particular objectives and sustain the landscape at the same time. The site is also the home of the Floradata database, a searchable collection of information on seed treatments, collection months, species flowering, seed germination, storage and viability and methods of breeding. Users have the option to select multiple data sources and seed species. Floradata then produces a detailed report based on your criteria. The website is where the seed community comes together to share ideas and information through the Seed People section. Here you can post or start forums on a variety of seed topics or search the database for suppliers, seed banks and other contacts around Australia to connect with. The site also contains updated news on native seeds as well as a calendar of upcoming events, workshops and trainings. Florabank provides in-person, accredited training workshops throughout the country. These special workshops focus on the newest developments in the seed industry as well as discussions of best practices for seed collection and supply. Florabank is also actively involved in the Communities in Landscapes initiative throughout Australia, a project that works to enhance and further develop native habitats through education of the local communities and involvement of researchers, developers and growers alike. Areas of priority include box gum woodlands — open areas with a variety of gum trees native to Australia. For its part, Florabank helps Communities in Landscapes in a variety of ways including opening access to the Flordata database and sharing news and research from its sources. It also supports the sharing of project ideas, findings and events in the Seed People section of the Florabank website, which is visited by thousands of people from the seed community each day. Florabank feels that the development of new professional skills through training is crucial in strengthening local communities. In addition, the information it provides on seed collection can give landowners alternative income or business sources. Florabank is an initiative of Greening Australia, a 30-year old organization that battles critical natural issues such as like climate change, soil degradation, a decline in water quality and loss of biodiversity. What began as a small, grassroots organization now has a network of over 270 staff in locations across Australia, and Greening Australia reaches everyone from metro areas to remote communities. The key to its continuing success is the involvement of the professional, scientific and local communities to help everyone be part of the solution.